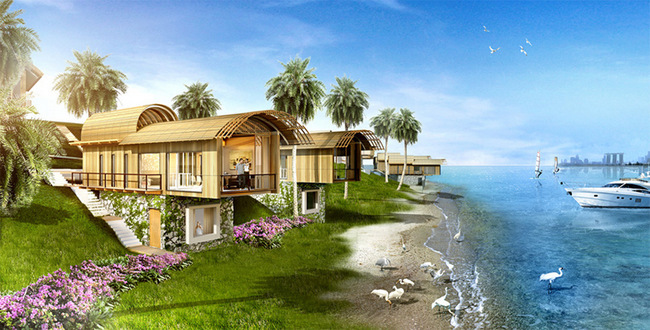 Artist impression of the Ocean Front Villa at Funtasy Island. Credits: Funtasy Island. Staycations? Move aside for Funtasy Island! 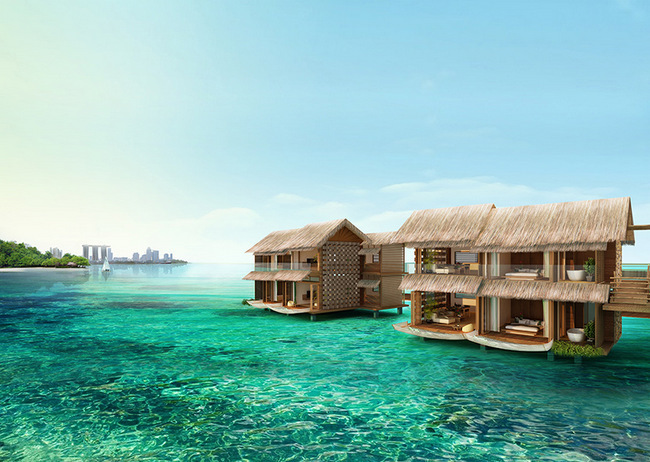 Located just 16km from Sentosa Cove, this luxury resort destination will be a quick 20 minutes ferry (or yacht, if you are feeling fancy) ride from HarbourFront. Top that off with 328 hectares of pristine, unspoiled nature, coral reefs and soon-to-be the world’s largest eco theme park, it promises a one of a kind experience for locals and tourist in the region. 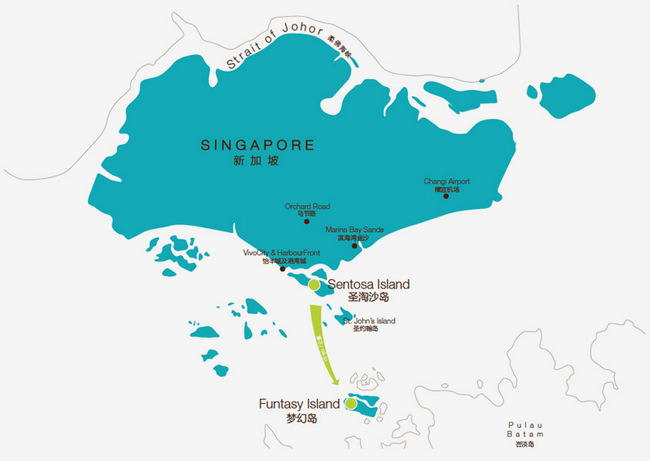 Located just 16km from Sentosa Cove, this luxury resort destination will be a quick 20 minutes ferry or yacht ride from HarbourFront. It will be a joint venture with Lourve Hotel Group‘s Golden Tulip brand; a partnership made official just this week at the newly opened Aura at National Gallery Singapore. No doubt, this is incredible news. The group has continuously proven themselves with 1,100 hotels worldwide, ranging from one (budget) to five (premium) stars. What’s more, during the press conference, they promise to bring a world-class standard with a local flavour to the Indonesian-based resort. So far, they have plans for the Royal Tulip Funtasy Island, a luxury villa resort, and Golden Tulip Funtasy Island, a resort hotel. Artist impression of the Over The Villa. Credits: Funtasy Island. 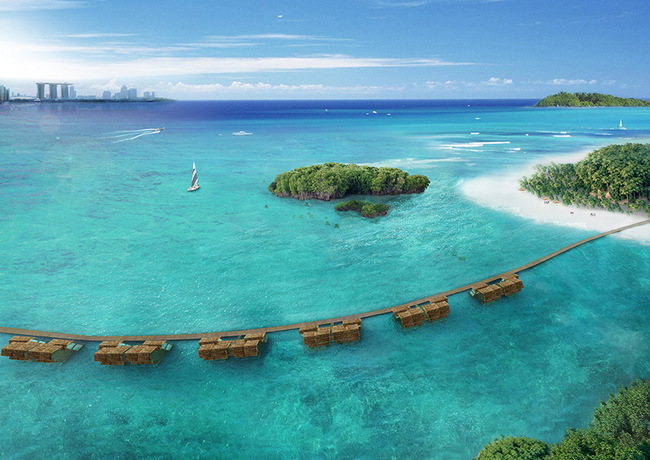 Following on that, they promise that it will not be a commercial, cookie-cutter experience over at the island. Preservation is key. Not only have they been working with the local fishing community to plant coral cubes on the island, they have also reserved a conservation fund with the Indonesian government to plant a coral for every visitor. Or, choose the ones you love to plant around your villa from a catalogue based on studies ran by the authorities with coral samples all over Indonesia. There are also plans to sponsor schools and linking up universities in Singapore to do coral studies and conservation work. I wonder if these lucky students will get a chance to stay in those gorgeous villas they have planned for the beach side? 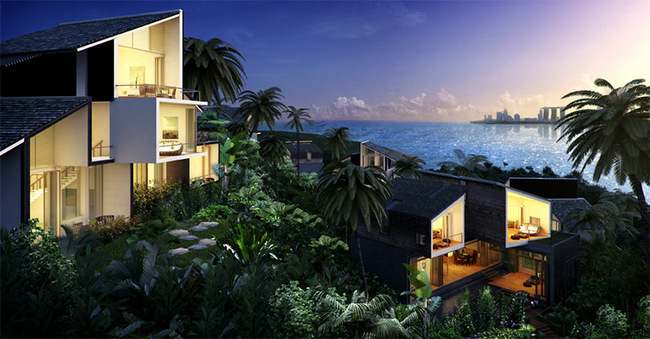 Artist impression of the Corallium Villa. Credits: Funtasy Island. Did he say dolphin sightings? I am in! Artist impression of the Forest Bungalow. Credits: Funtasy Island. Another point would be the recruitment of the people behind Potato Head Beach Club to create an equally indulgent space on the island. Specifics have been kept from the media, but they are working with a treasure trove of scenic views and a ever-clear blue sea – there is a lot to look forward to. What we have heard so far is idealistic, and if it pulls off, it would definitely put a new meaning into a resort getaway. They have promised to balance the culture, environment and the incoming tourist crowd during the phase one soft launch early next year. But, don’t wait too long to get your hands on one of their stunning villa – almost 85% of their properties have been sold or leased. For more information on Funtasy Island, please head to their official website or Facebook page. You will have to get in touch with the Funtasy Island directly on that. Thank you.